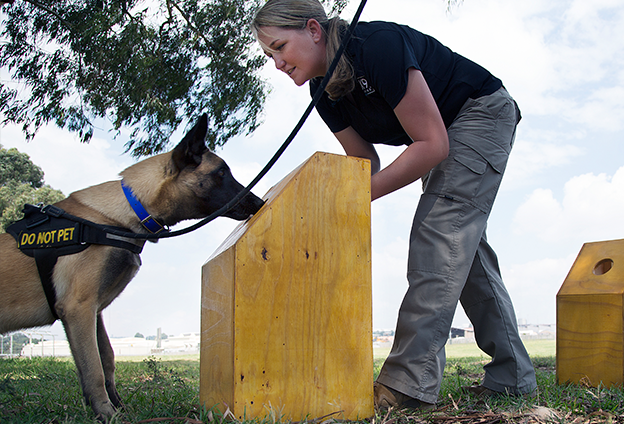 Welcome to SOUTH AFRICA’S largest and locally-owned, fully operational explosive detection Patrol K9 Company. 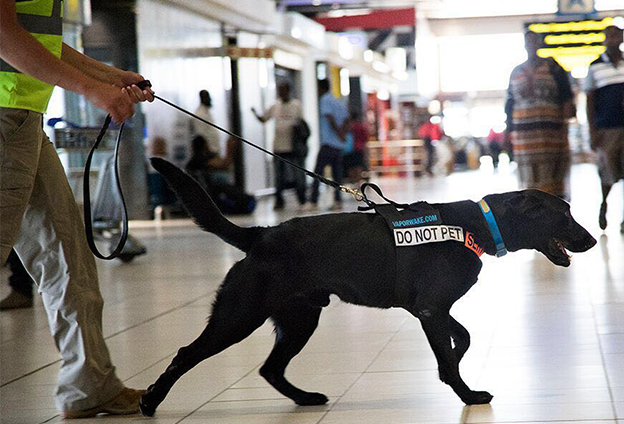 K9 Law Enforcement/Vapor Wake K9, South Africa, VWK9SA, provides world-class Vapor Wake K9 – Body-Worn explosives detection, a world-class Narcotics Detection, and K9 Patrol. 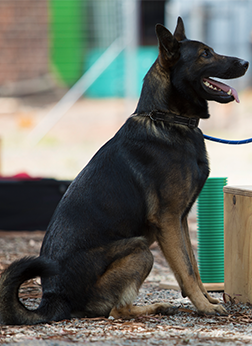 Our K9’s and their handlers have been trained by an internationally-renowned training staff complement with over 50 years of combined K9 services in aviation and law enforcement. This outstanding level of training allows our specialised K9 teams to be South African Civil Aviation Authority (SACAA) certified. VWK9SA is fully accredited with SASSETA - SAPS EXPLOSIVES SECTION, SACAA, Dangerous Goods, and NKP. 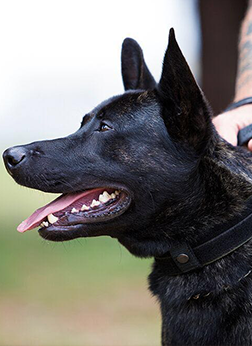 K9 teams are able to provide detection and protection services to your business, home, venue, corporation, event, or any other specialised needs. Our dedicated teams conduct regular daily training exercises over and above their “on duty” time. Furthermore, our training is conducted in a variety of environments that include interiors, exteriors, vehicles, confined spaces, and moving targets that are both human and non-human, as well as a variety of distracting scenarios; additionally training takes place in real-life settings including airports, fire departments, casinos, schools, homes, businesses and law enforcement at ACSA. The secret to success lies in attention to detail, hard work, excellent ground-work and the continuous improvement of skills along the way. VWK9SA\K9 Law Enforcement Explosive Detection K9 (EDD) and Vapor Wake K9 teams provide a strong visible and psychological deterrent against criminal and terrorist threats. 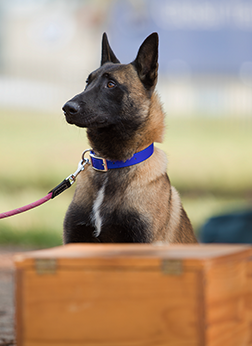 Every K9 teams have their own personal file, which is updated during every training session on a daily basis. Information is collected, offering VWK9SA\RAPS K9 Law Enforcement the perfect opportunity for ongoing all-round development. 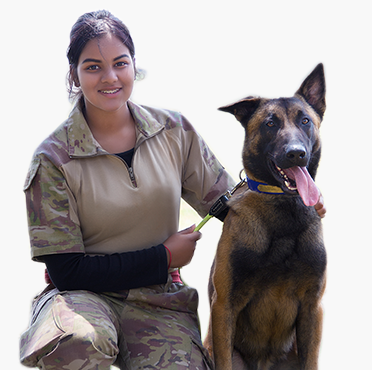 SOUTH AFRICA’S largest and locally owned and operated Explosive Detection and Patrol K9 Company. K9 LAW ENFORCEMENT/VAPOR WAKE K9 SOUTH AFRICA, VWK9SA, provides world-class VAPOR WAKE K9 – BODY WORN EXPLOSIVES DETECTION, Explosives Detection, Narcotics Detection and Patrol K9’s that are world class.